Empanadas hold a special place in my heart. I want to be up front that I do not have cultural or familial ties to them, but I have really wonderful memories of making them during my high school Spanish class. We made them both with veggies and black beans, and ones filled with spiced ground beef. We also made ones with a sweet cinnamon-sugar filling. I love that they are so versatile, kind of like pizza or tacos. They can also be easily frozen after they are made, for wonderfully simple make-ahead cooking. Try these recipes for black bean and sweet potato empanadas, and use the dough to make fruit empanadas for dessert! If you have little ones in your household, consider letting them help measure out ingredients for the dough, or press the pockets together before baking. You could even talk with them about the importance of different dishes in cultures around the world, or of traditional family recipes. 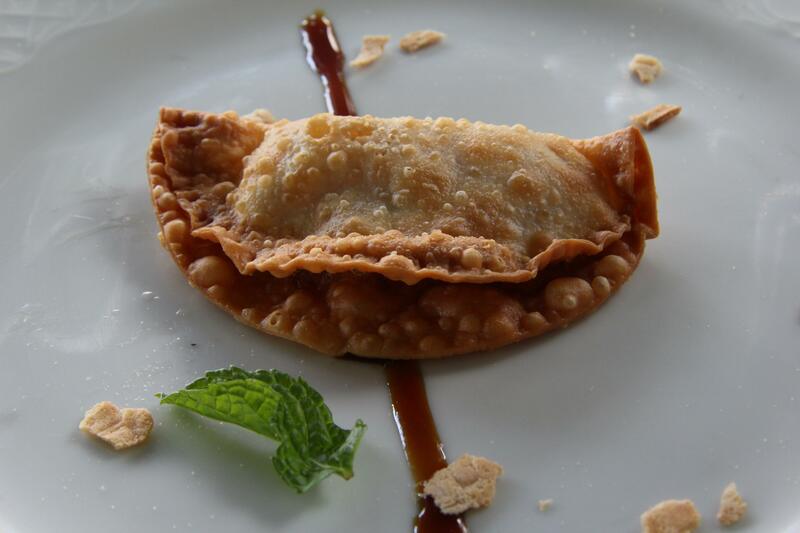 Enjoy, and happy National Empanada Day! Weigh or lightly spoon flour into dry measuring cups, and level with a knife. Combine flour and 3/4 teaspoon salt in a large bowl, stirring with a whisk. Combine canola oil, 1/4 cup water, 1 tablespoon vinegar, and egg in a medium bowl. Gradually add oil mixture to flour mixture, stirring just until moist. Knead lightly until smooth. Shape dough into a ball, and wrap in plastic wrap. While the dough is chilling, prepare your sweet potatoes. Heat vegetable oil in a heavy skillet over medium heat for a minute or two, and then add your sweet potatoes. Cook for about 15 minutes, stirring occasionally. Remove from heat and combine your sweet potatoes and the drained and rinsed black beans. Add the cayenne, cumin, smoked paprika (if using), and salt. Lightly mash the mixture with a fork until it gets a little smoother. Divide dough into 10 equal portions, shaping each into a ball. Roll each dough portion into a (5-inch) circle on a lightly floured surface. Working with 1 portion at a time (cover remaining dough to keep from drying), spoon 3 level tablespoons sweet potato and black bean mixture onto one side of each circle. Moisten edges of dough with egg white; fold dough over filling. Press edges together to seal. 11. Place empanadas on a large baking sheet coated with cooking spray. Cut 3 diagonal slits across top of each empanada. Bake at 400° for 16 minutes or until lightly browned. Follow same dough recipe as above, doubling if you want to make both types of empanadas. Combine all filling ingredients in a medium saucepan over medium heat and cook until the mixture has thickened somewhat. Divide dough into 8 equal portions, shaping each into a ball. Roll each dough portion into a (5-inch) circle on a lightly floured surface. Spoon 2 tablespoons of filling onto one side of each circle of dough. Fold dough over filling. Place empanadas on a baking tray lightly sprayed with baking spray. Bake at 325° for 15 minutes. When they are done baking, sprinkle lightly with cinnamon sugar.